Meet the girls who dress up like Barbie dolls. 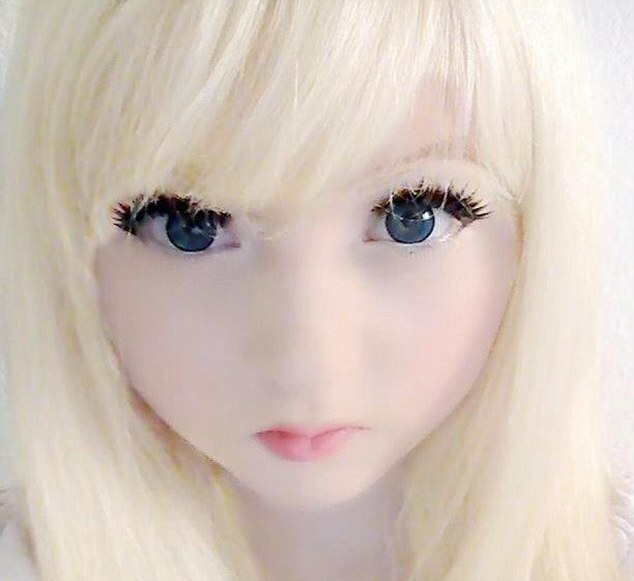 Venus Palermo, known online as Venus Angelic, is a 15-year-old girl and also a living doll. Venus decided to give her image an overhaul on her return to London two years ago, after spending time in Japan and being inspired by the craze for Japanese anime. Venus isn’t the only real life doll. Dakota Rose, going under the name Kota Koti, has built up a large fanbase with her online make up tutorials that show how you can get the doll look. As would be expected from a real life doll doe eyed Dakota Rose very rarely speaks in the videos. Talk about high maintenance! Pass!